The National Football League, a conglomeration of professional football teams which generates $9 billion per year, is classified by the federal government as a tax-exempt, not-for-profit entity. If that strikes you as unfair, then you have something in common with Sens. 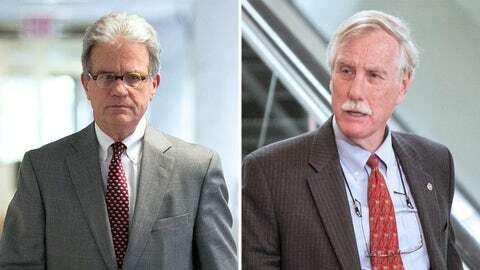 Tom Coburn, a Republican from Oklahoma, and Angus King, an independent from Maine. “This is a directed tax cut that (went) to the league office, which means every other American pays a little bit more every year because we give the NFL league office a tax break and call them a non-profit,” Coburn said on CNN’s “New Day," as noted by the Washington Times. In theoretical terms, a not-for-profit organization exists for some kind of religious, educational or charitable purpose. Making a profit doesn’t disqualify an organization as being classified as a nonprofit, but the idea is to not impose a tax burden on organizations whose primary purpose is to serve their communities. Profits generated by a nonprofit organization are to be re-invested in the organization, the idea being to help it achieve whatever altruistic goals it may have. The structure of the NFL is such that the individual teams are separate entities from the league itself. The teams pay taxes. The NFL office does not take in $9 billion per year. It’s haul is more like $180 million. That’s the revenue the two senators would like to see taxed, King’s argument being, in essence, that the NFL serves no altruistic communal purpose. “The teams are separate entities — they pay taxes and they have their whole situation,” he said. “The league has a foundation, charitable — wouldn’t affect that. This is talking about the [approximately $180 million] a year that goes into the league office.